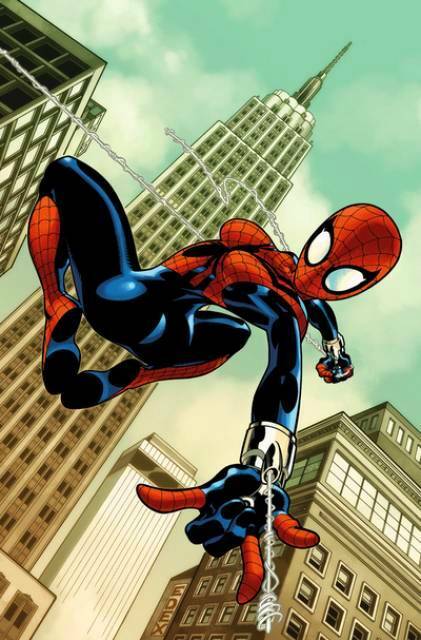 She's Fantastic: The Amazing SPIDER-GIRL! Spider-Girl has always always been a hit-or-miss character with me. She has all the surface-level qualities that I love in a Superhero (ie: She's a female version of an established male character, plus she has a cool origin). May "Mayday" Parker was originally created for an issue of What If in 1998... ostensibly as a single-story character. But she was soon given her own series as part of Marvel's M2 Universe. This first series won Mayday the distinction of having the longest running Marvel solo title starring a female character - and that's not even counting her two follow-up series. These comics had a huge fan base, but for some reason I just wasn't a big fan. I kept trying to like the character over the years, but I never truly jumped on board until Anya Corazon (Araña) took over the mantle in 2011. 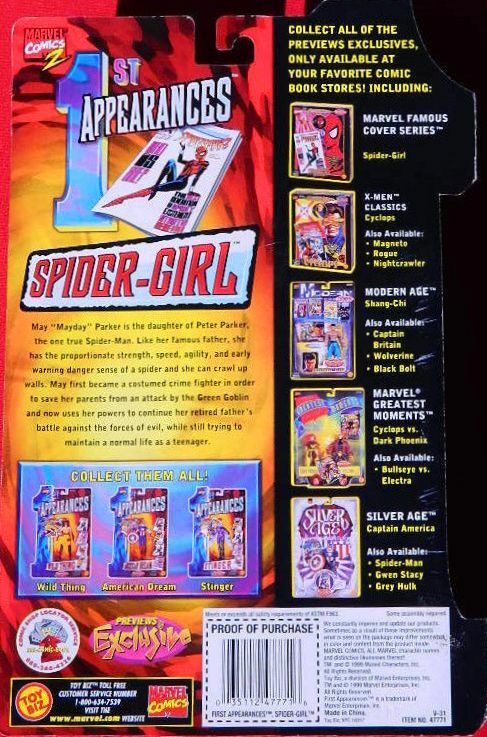 In 1999, ToyBiz had an awesome Previews Exclusive female-centric line based of the M2 Universe. They have typical odd ToyBiz posturing and articulation, but all-in-all they're great figures. Let's check her out below! I think I actually bought this Spidergirl on eBay years ago, though she didn't arrived & I never got around to buying her again. 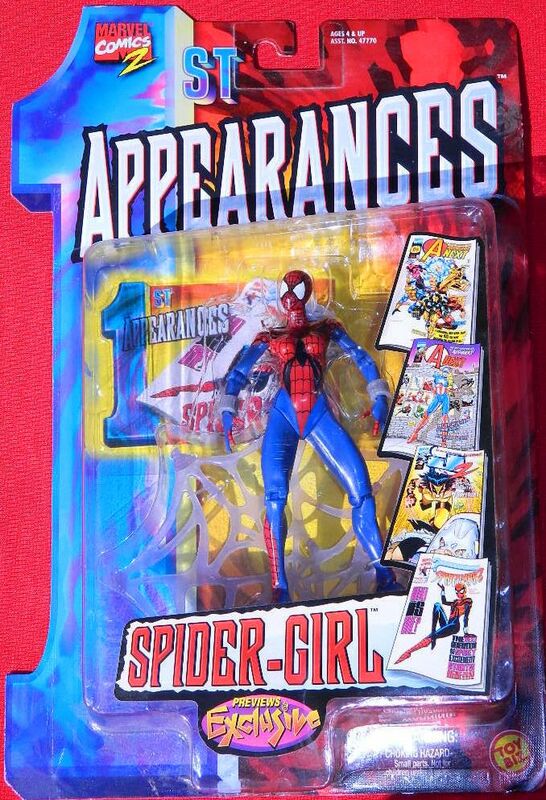 The old Spiderman line had some fantastic female figures. Mary Jane, Gwen, Spiderwoman, Black Cat, Silver Sable, Madame Webb. Hmmm I think I may have to get that Madame Web now. I always thought it was a weird figure but your pic is making me jealous. I still hold some insane hopes that the Hostess "Madam Web" will someday be incorporated in the the mainstream comics. 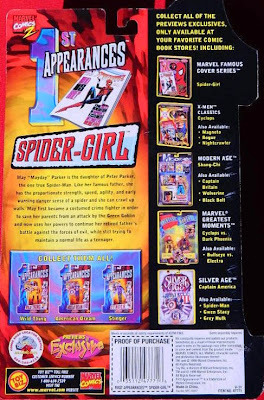 Did you catch my Spider-Ladies Mini-Mate review last winter? :: http://www.shesfantastic.com/2013/02/mini-mate-women-of-spider-man.html The Aunt May figure was my motivation to do the whole review. Those Minimates are fantastic Alex! I know she's defintiely on my hit list now. I wonder if her outfit had any inspiration in the design of Ultimate Spider-Woman.. the color palette is unique to them in the spider-realm. I just discovered the Anya Corazon is coming back as Spider-Girl this month in Avengers Assemble.. that would be awesome if her character took off and we got a figure of her. The Madame Web figure is one of my favourites ever. if only cause she is such an obscure character, but the fact that she was made at all is extraordinary. And she was very well done too. Now where did i put mine? I'll get her eventually. I'm on a super-tight budget all of a sudden so I'll wait till I find her used at one of my local used toy shops.